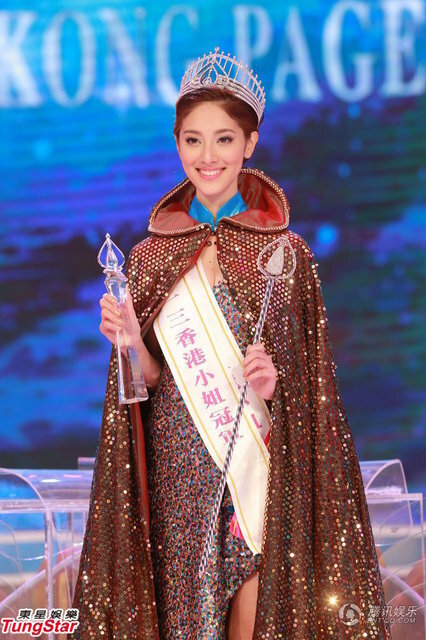 The new Miss Hong Kong is 22 year old Grace Chan. The 1.63m beauty defeated 9 other delegates to win the title. She is expected to represent Hong Kong at the next Miss Chinese International Pageant. She might also represent Hong Kong at Miss World 2014. Chan also won Miss Photogenic. The first runner-up was Sisley Choi and the second runner-up was Moon Lau. The top 5 were completed by Virginia Lau and Vicky Chan. The winner is really pretty and would love to see her or the runner-up at Miss World next year.